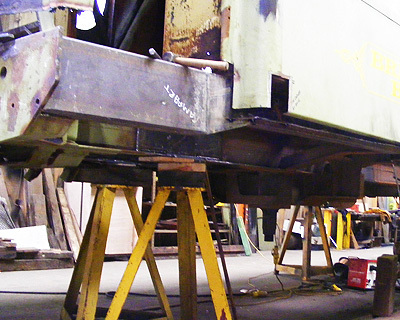 Our recent involvement with the Brighton Belle project required substantial removal of vehicle underframe sections, and replacement with refurbished sections supplied from donor vehicles. 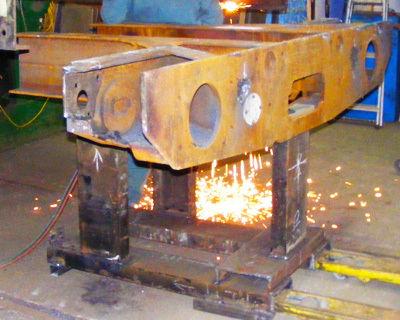 This ground-breaking work was undertaken with the vehicle bodies remaining intact and supported by temporary steel bracing, whilst the underframe was being welded together. 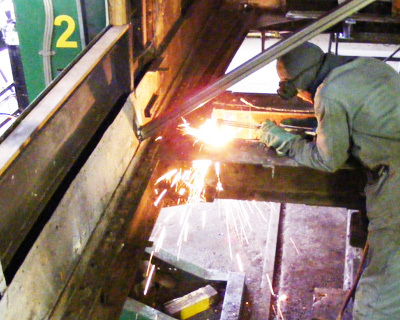 All items for the underframe were fabricated and prepared in our workshop, requiring bespoke jigs and supporting trestles, as well as staff working to a comprehensive range of construction and welding procedures.